Patti Leishman (formerly Emmerson) is showcasing "Paintg Out Loud" - an exhibit of abstract paintings with 15-20 pieces available for purchase. This one night event is being held at a private residence at 1502 12th Ave, with coffee provided by Rooftop Coffee Roasters along with snacks and refreshments. 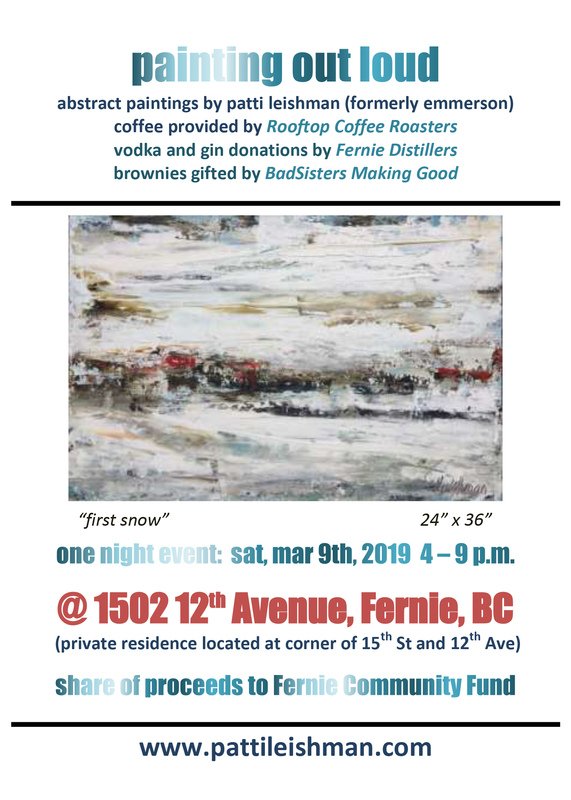 A portion of each painting sold will be donated to the Fernie Community Fund. For more information on Patti and her art work, visit www.pattileishman.com.